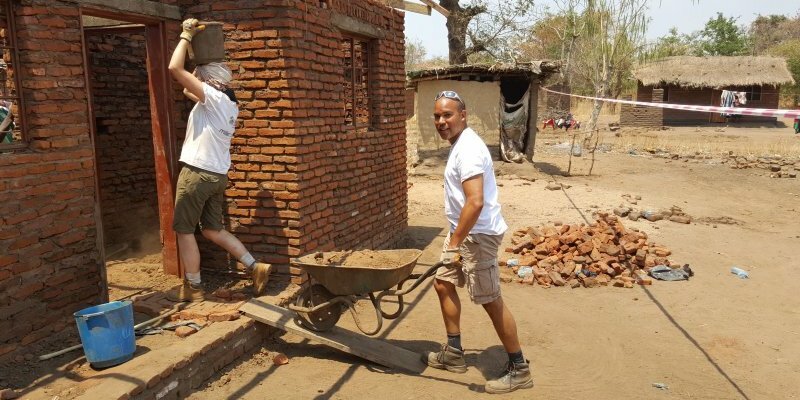 We provide shelter to contribute to the elimination of poverty in Malawi and to improve the lives of orphans and other groups of vulnerable people. 4 out of 5 families live in substandard homes with little hope of ever being able to afford a decent house. A typical village hut is built of mud bricks with a dirt floor and thatched roof, which requires frequent repair. Families are at risk of disease from leaking roofs that make the house damp and mud floors that attract insects. 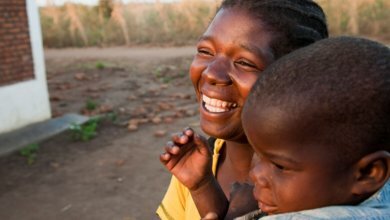 The number of orphans and vulnerable children in Malawi has increased from 937,000 in 2001 to 1,400,000 in 2010, representing an increase of 66 percent in less than a decade. Malawi has a high rural to urban migration – 5.3% per annum, according to UN Habitat. Approximately 21,000 new units are needed every year for the next 10 years to meet housing demand – this far exceeds supply. In the urban areas, many people live in slums characterised by poor water and sanitation facilities, no electricity and poor road networks. 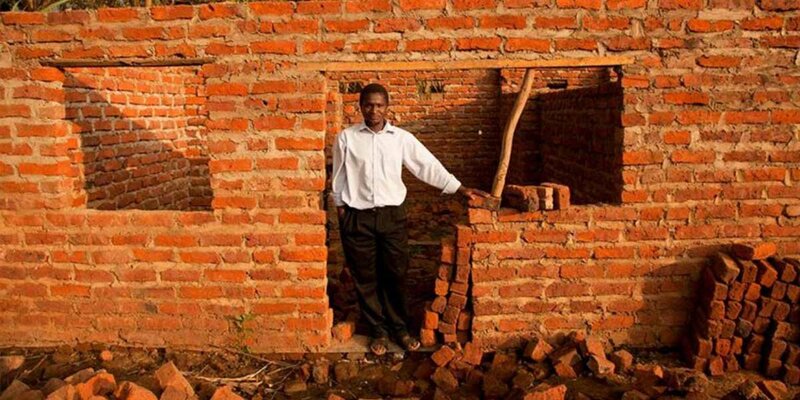 There are very few institutions dedicated to eliminating poverty housing in Malawi. Improved housing: HFHM construct two, three or four-room houses for vulnerable families. In addition, each family is provided with a ventilated improved pit-latrine to improve sanitation and hygiene. Malaria prevention training: HFHM provides three insecticide-treated mosquito nets per family. Families are also trained on good sanitation and hygiene practices to prevent diseases, including malaria. HIV prevention training: The training is aimed at preventing new infections arising from sexual exploitation, especially of the girls and caregivers. Vocational skills training: It is provided to older OVC, especially those who dropped out from school. The package includes provision of tools and equipment like carpentry or sewing machines. Property and inheritance rights training: It aims to protect the OVC from property grabbing. The training is offered to OVC caregivers and gate keepers. The HSS project aims to increase resources available to low-income families, making it easier for them to obtain and develop decent housing, through the provision of microfinance loans and construction technical assistance. The project is being implemented in partnership with a Microfinance Institution. The partner offers loans to clients while we provide technical advice. To date, over 5,000 people have benefited from this programme across Malawi. 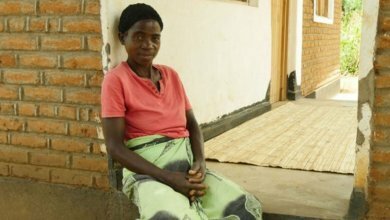 Learn more about the full extent of poverty in Malawi. 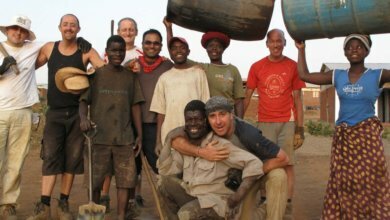 We provide new homes that are fully subsidised for orphans and other vulnerable groups of people. The houses are two, three or four roomed according to the family size. We also provide Housing Support Services (HSS) to low-income people in partnership with housing microfinance institutions. Receive impact reports and inspirational stories of resilience and strength straight in your inbox.